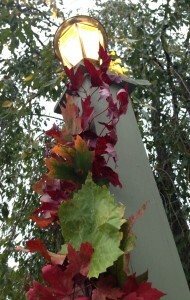 Fall Leaf Garland that is colorful, free, and easy to make! I took the branches we found and tied them to the post with fishing line. You need to make sure to tie them in two or three spots. Going for stability is key here. I made sure a couple of the ties went under the branch to prevent it from slipping down. I used Bill’s finger to secure the string tightly. He loves to help me, right, Bill? 😉 Do you see how this could become a family project for all ages? Next, I bent a few leaves over the fishing line to hide the line and secured them as discreetly as I could manage. Then I filled in with various colors to make it really pop! This was a lot of fun and it would look great along a fence, next to your door, or on your mailbox post! I can’t wait to see what you do so please be sure to share your pictures with us on our Facebook page! While New England is known for its fall foliage and brilliant leaf colors, I think any leaves would be classy when entwined around a post or trailing up around a door frame. 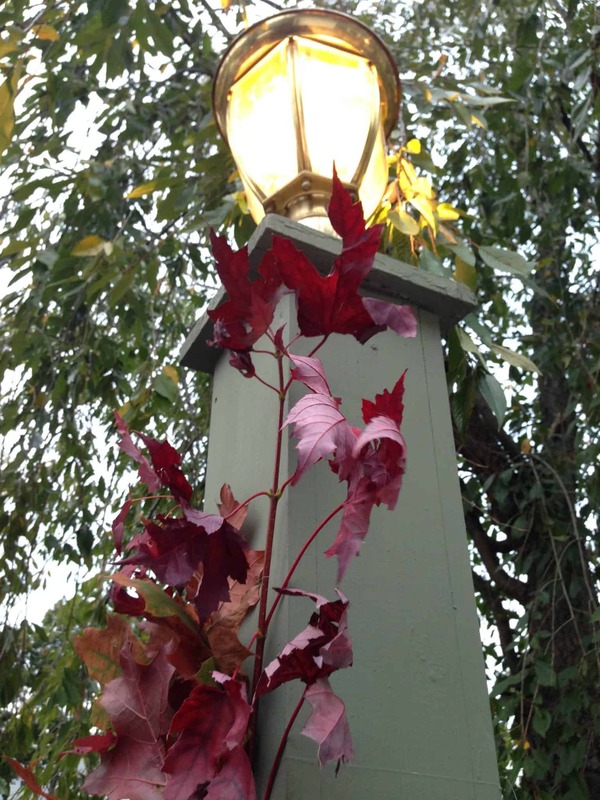 What are some fall projects you’ve been doing around your house? The leaves look beautiful. 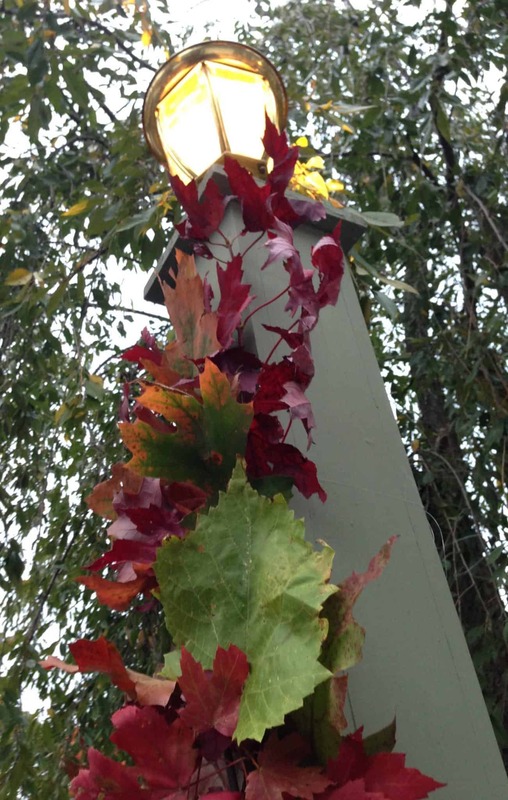 It is a pity we do not have “fall” here in my part of Australia all our trees are evergreens, gum trees etc. I am going to start collecting any leaf that looks appropriate and see what I can come up with. Wish me luck. Love this site anyway. Many thanks. Cheers, Ve. Wishing you lots of luck and an abundance of leaves! !